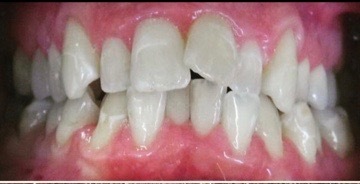 What is SMILE DESIGN as it relates to customizing and improving ones appearance? 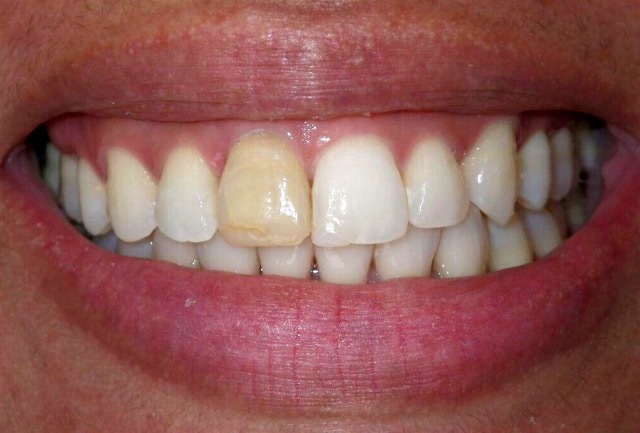 Smile Design is a personal technique which allows the patient to work with the doctor and ceramist to make suggestions that will be incorporated into the finished smile appearance. Design features such as tooth length, texture, color, transparency, shape and youthful visibility as well as other characteristics are considered. These changes are seen and agreed to by the patient before any dental treatment is initiated so that changes can be agreed to before treatment begins. 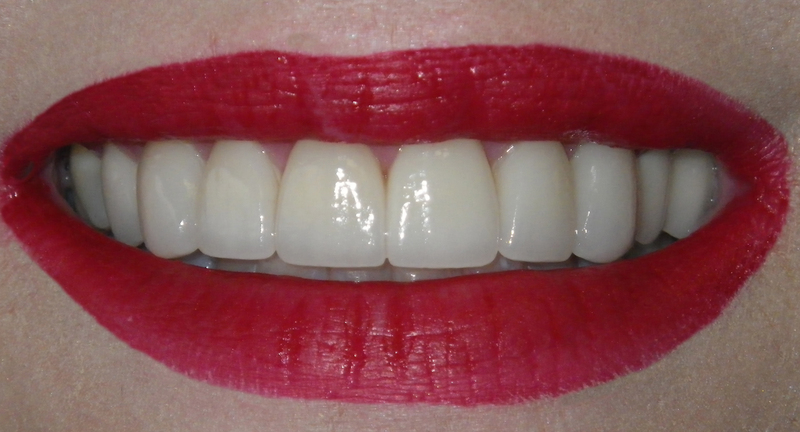 Smile Makeover using ceramic crowns. 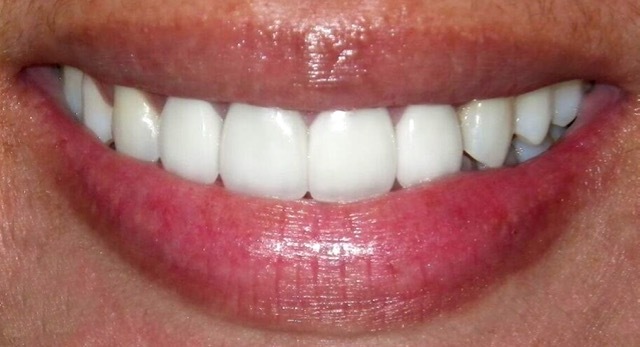 Total of 2 visits after patient approves the proposed changes which we show to to her on a non invasive wax model made fro her initial impressions before any dental work. Smile Makeover to conform to patients masculine personality by utilizing various options for the length, shade, contour, texture and smile design. Improving a smile to match her personality. 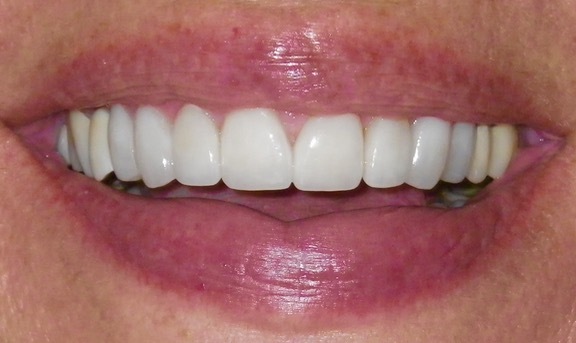 More youthful smile by whitening dull front teeth with 6 new ceramic crowns in 2 visits. 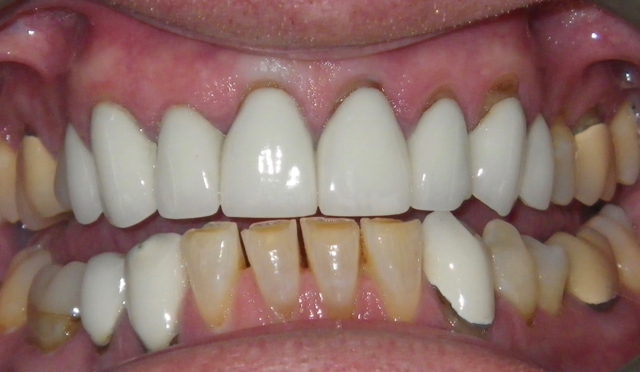 Smile improvement by placing 6 ceramic crowns replacing worn, unsightly aged appearance of front teeth. 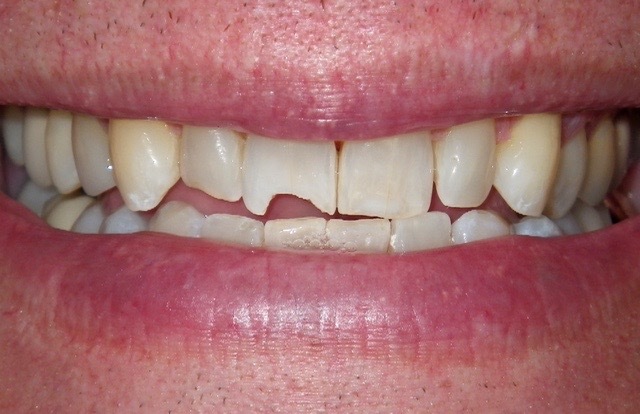 Improve appearance by replacing worn, decayed front teeth with ceramic crowns in 2 visits. Slight lengthening of the incisal edges and curve to follow lower lip adds youthfulness. Dramatic feminine changes provides more youthful appearance. Masculine Preferences used to Design including following lower lip line. 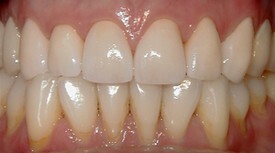 Four front crowns to change size and shape. 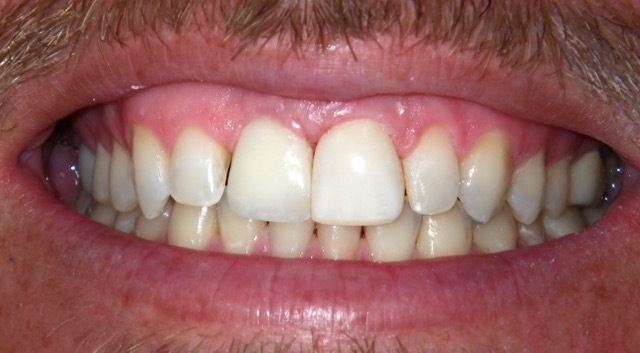 Dramatic New Smile utilizing Implants to replace missing teeth. A more youthful change to enhance beauty and professional success. 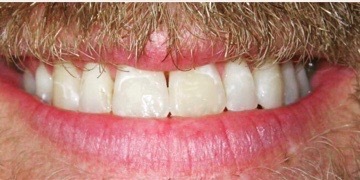 no crowns or veneers only invisalign invisable aligners for 1 year. At our La Jolla dental office, Drs. John and Tracy Taddey serve the many cosmetic and general needs of North San Diego County. 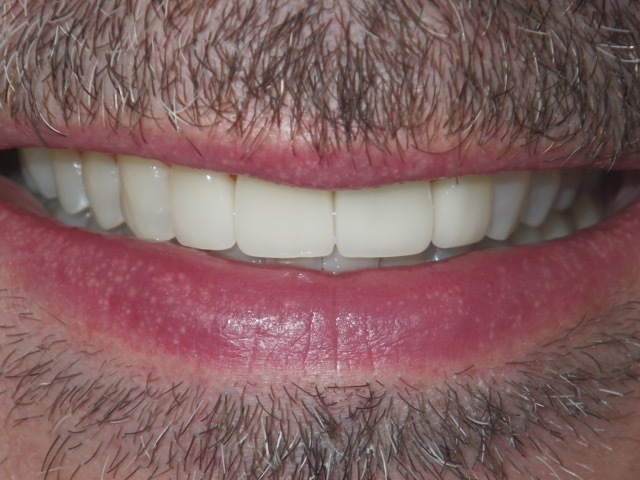 One of our more popular services is the smile makeover, in which we use a wide variety of dental prostheses to rebuild the appearance of your smile. Regardless of what you want your smile to say about you, the smile makeover service of John J. Taddey, DDS can make it a reality. 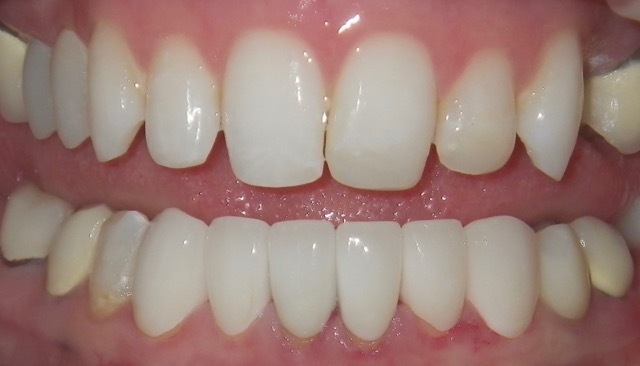 One of the most popular items in the smile makeover process is the ceramic crown. 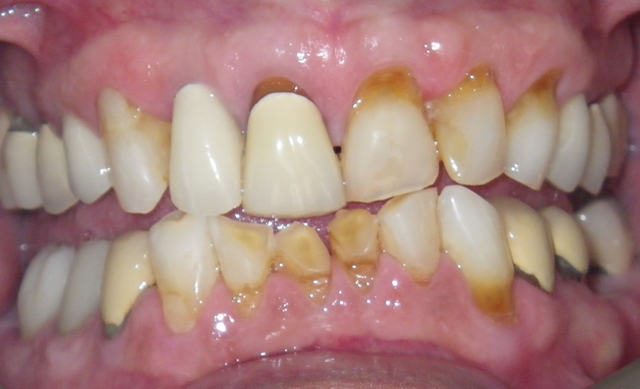 A crown covers the entire outer tooth, protecting it from acidic exposure, bacteria, and the pressures of chewing. Traditionally, crowns were made of metallic alloys; metal was used for crowns because of its strength and longevity. 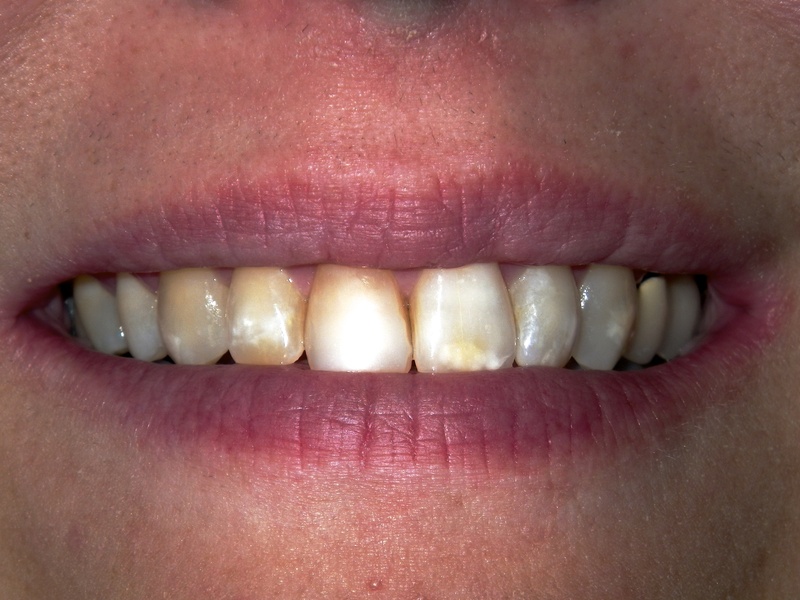 However, metal is extremely noticeable and visually unappealing, and is thus undesirable for many of our patients. 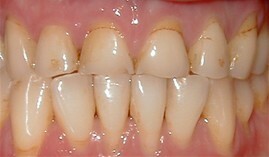 Even porcelain-fused-to-metal crowns can eventually show the metal underside of the crown near the gum line. A ceramic crown, however, looks and feels like a natural tooth. When Doctor John or Doctor Tracy Taddey places a dental crown made entirely of porcelain, most people will not notice the crown. All anyone will see is a healthy, white, beautiful smile. Just as importantly, you will not feel or taste the crown. 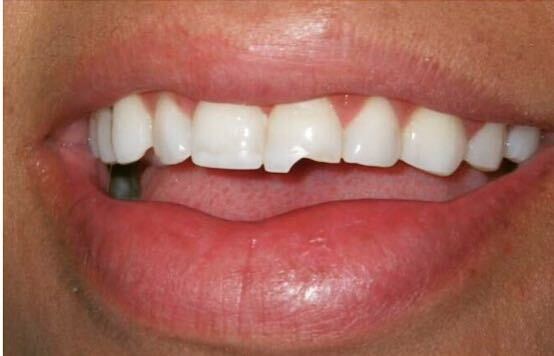 Sometimes, a tooth only needs a covering for its front portion. 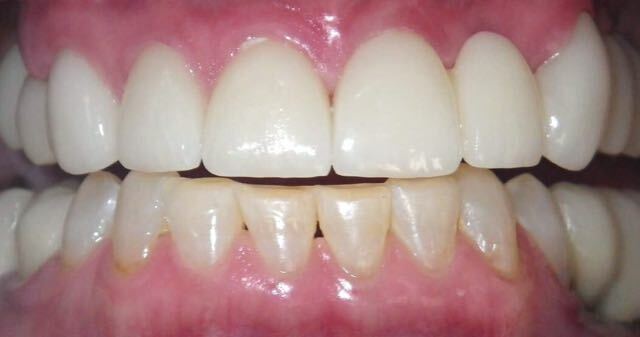 They would only need a covering which can reshape an otherwise healthy tooth for better appearance and function, as well as protect an eroded surface from further acidic damage. 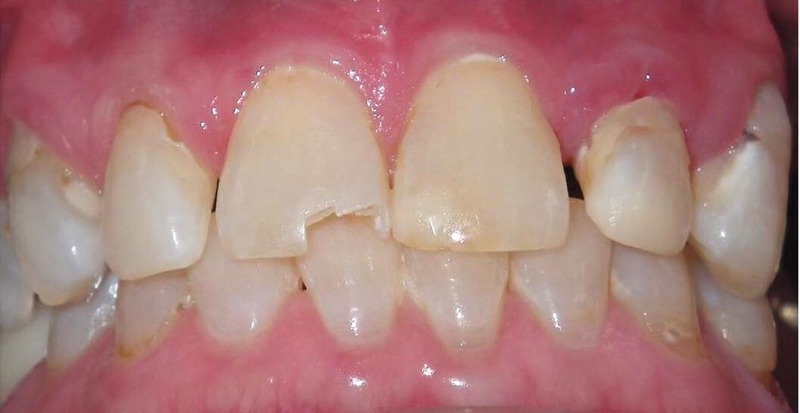 These are the teeth for which preparing to place a dental crown would do more harm than good. 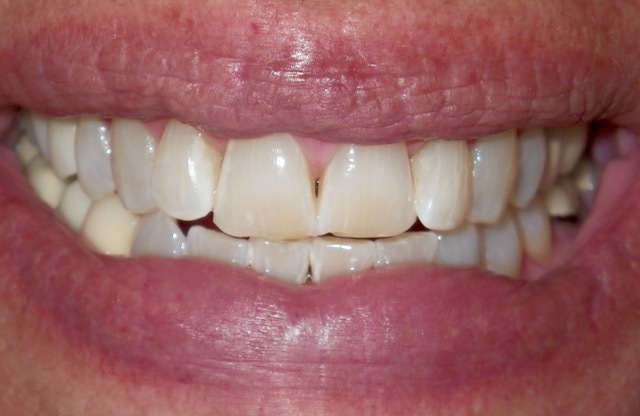 For these teeth, our La Jolla dentists can instead provide a porcelain veneer. 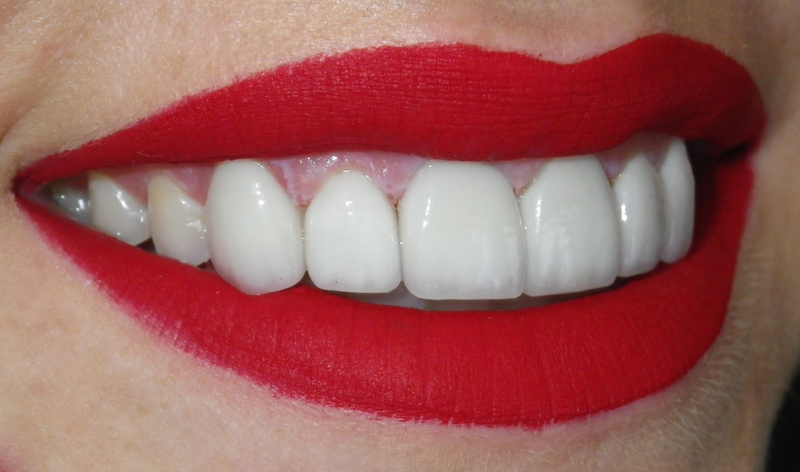 Porcelain, the same material our ceramic crowns are made of, is the reason that the veneers match the feel and appearance of your natural teeth. Veneers will require much less preparation work than the crown will, enabling a more beautiful smile in the healthiest way possible. Dental implants are posts surgically implanted into the jaw, upon which a dental prosthesis, or restoration, rests. Once they have been fully integrated into the jaw, the implants can replace one or more missing teeth, depending on which restoration was used. Sometimes, however, the restorations used need to be replace, repaired, or reworked. If you are dissatisfied with your current prostheses, Dr. John and Tracy Taddey can offer a wide variety of dental implant restorations to help you replace missing teeth. 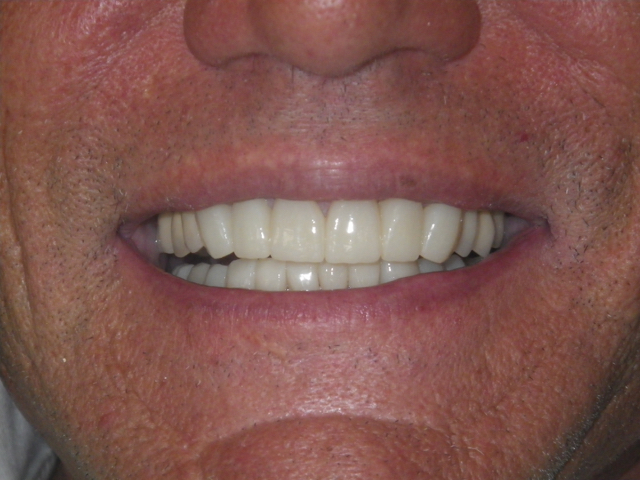 Ceramic crowns and porcelain fixed bridges are among our more popular examples, but we can also help you with implant-supported dentures that can replace an entire arch. 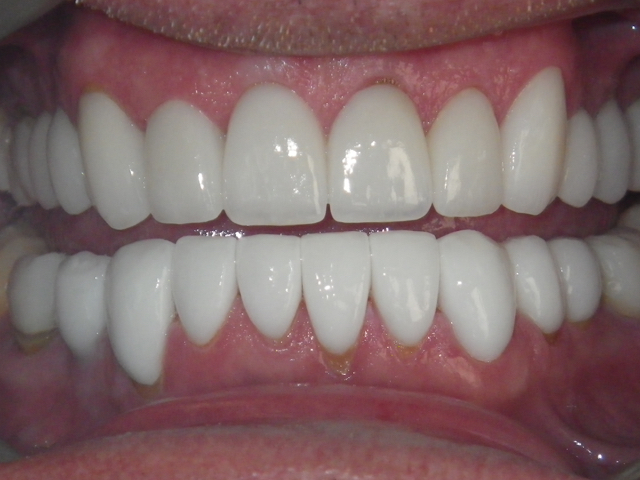 We use dental porcelain even for these, to maintain that natural look and feel our clients want. Making over your smile is a specialty of Doctors John and Tracy Taddey. The practice of John J. Taddey, DDS provides smile makeovers to the communities of North San Diego County, such as Pacific Beach and Del Mar, in addition to our hometown of La Jolla. 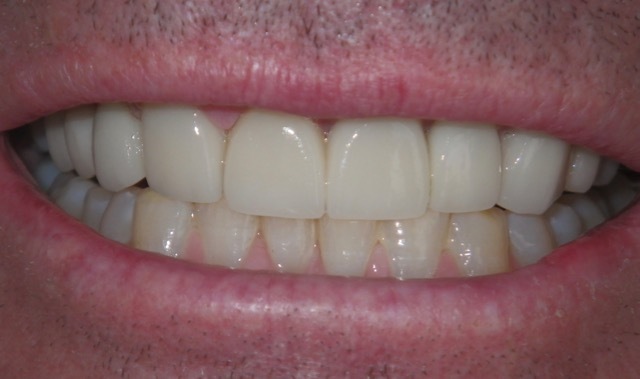 To find out more about how we can best help you recreate your smile, contact us today! We encourage you to contact La Jolla dentist, Dr. Tracy or Dr. John Taddey, with any questions or comments you may have. Please call our La Jolla Family & Cosmetic Dentistry or use the quick contact form below.